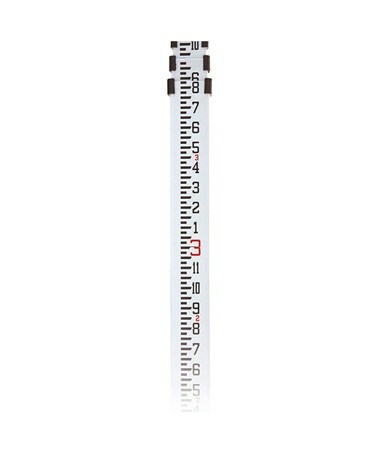 The Bosch Aluminum Grade Rod is a rectangular-shaped leveling rod designed to provide a wide range of working height. It is composed of five adjustable anodized aluminum sections and injection molded sectional joints that allow it to extend and collapse smoothly to achieve any desired height between 3.2 feet and 16 feet. 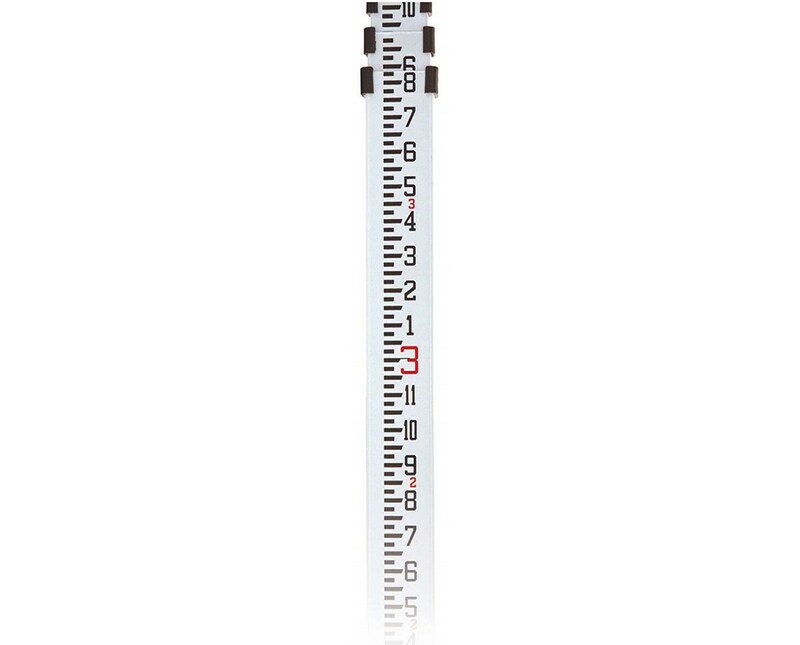 Equipped with high-strength locking buttons, this telescoping grade rod by Bosch ensures stability and accurate measurement by securely holding its sections in position when in use. It also provides easily readable, one-sided graduations—in feet, inches, and eights of an inch—imprinted in weather-proof and corrosion-resistant ink. 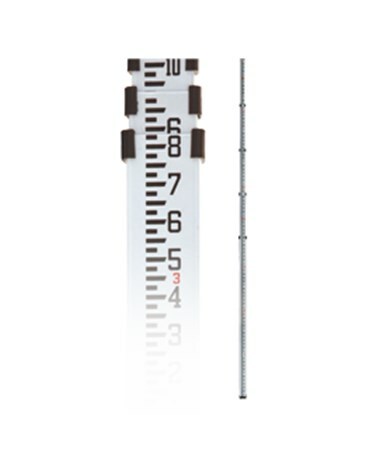 Ideal for all construction and surveying applications, the Bosch Aluminum Grade Rod is durable yet lightweight weighing only 4.5 pounds. It comes with a 90-day warranty and offers reliable service for a long period of time.